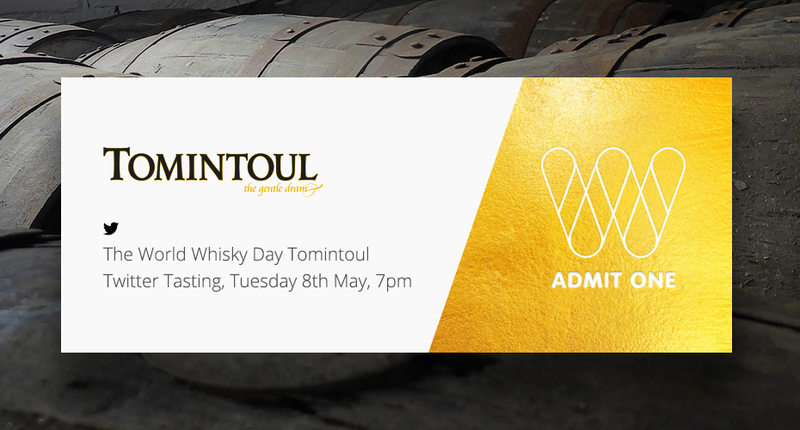 We’ve partnered up with Tomintoul to host a Twitter tasting on Tuesday 8th May, and you’re invited! The tasting, which starts at 7pm, will be attended by several influential whisky bloggers and experts, including the Founder of World Whisky Day, Blair Bowman. One ‘Golden Ticket’ has been set aside for a lucky winner from our audience to take part in the tasting. Tomintoul Distillery is located near the village of Tomintoul, the highest village in the Highlands of Scotland, in the prestigious Glenlivet Estate at the heart of the Speyside region. Renowned for its smooth and mellow character, Tomintoul whisky has been nicknamed ‘the gentle dram’. Three expressions from the Tomintoul range will be featured in the tasting, including one very special dram. All participants will recieve a bespoke tasting kit delivered through their letter box. The kit will contain details and instructions on how to take part, plus the three drams. For your chance to win the ‘Golden Ticket’, click the link below to follow Tomintoul on Twitter and you’ll be entered into the draw. We’ll notify the winner by Twitter and pop the tasting kit in the post.